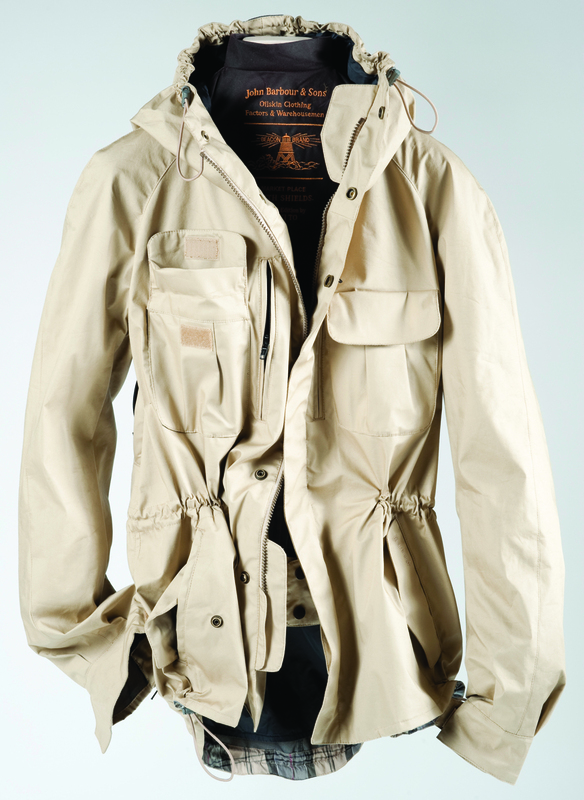 First Look | Barbour Beacon TO KI TO SS10 Collection | A Continuous Lean. With the first Barbour Beacon fall collection just hitting stores, Japanese designer Tokihito Yoshida rolls on with another fantastically designed collection of outerwear from the venerable English brand. The new offerings compliment the main Barbour line perfectly, but the Beacon coats are just unique enough to be really desirable without taking anything away from the core collection. That is the tough part of collaborating with such a well known and revered brand like Barbour, making the collaboration product unique but not too too crazy. Mr. Yoshida walks that line wonderfully and every piece of both the AW09 and SS10 Beacon lines are worthy of my closet. I’ll be bold and say that this is the best designer-brand collaboration going right now – well played by all involved. Wondering what you should be wearing next spring? See below. The khaki summer bicycle jacket is the best looking thing I’ve seen in a long time…wow…i guess it’s time to start saving up. Plaid trimming = spectacular. In the case of all of these jackets the detailing is second to none. Really like that wax summer driving jacket. Simple and delectable, I love it! great stuff, thanks for the heads up. I kind of like the summer blazer jacket. I would love to know the technical details about this gear. Keep the first looks coming! I love Barbour so much– this is a sad sad direction they are taking. Not too impressed with anything I see here. I like how the jackets are all posed like there is someone wearing them. Like a stylish invisible man. These all look good but I’ll stick with my International . . . These are better than Cabourn’s tweed parka, which IMO is one of the better looking coats you can own. Not to start an argument, but I bet it WOULD NOT look better if an “Englishman” designed it â€” just as it wouldn’t look as amazing if an American designed it. In regards to the comment from “ME”: I’m guessing your english? Shirt Jacket and Summer Blouson are rad. Sid Mashburn in Atlanta has some of the AW09 in stock, for those in the area. I don’t care where the designer hails from, good design is good design. It’s the price tag that has me most concerned. Any idea what material the summer blazer is? Definitely well-played. I’ll take the summer driving jacket. I’m also looking forward to the Bastian/Gant collaboration for SS10. Ugh… another brand bites the dust. Yet a pair of Tom’s Shoes with little anchors are attractive to you. will be a button missing or something!! 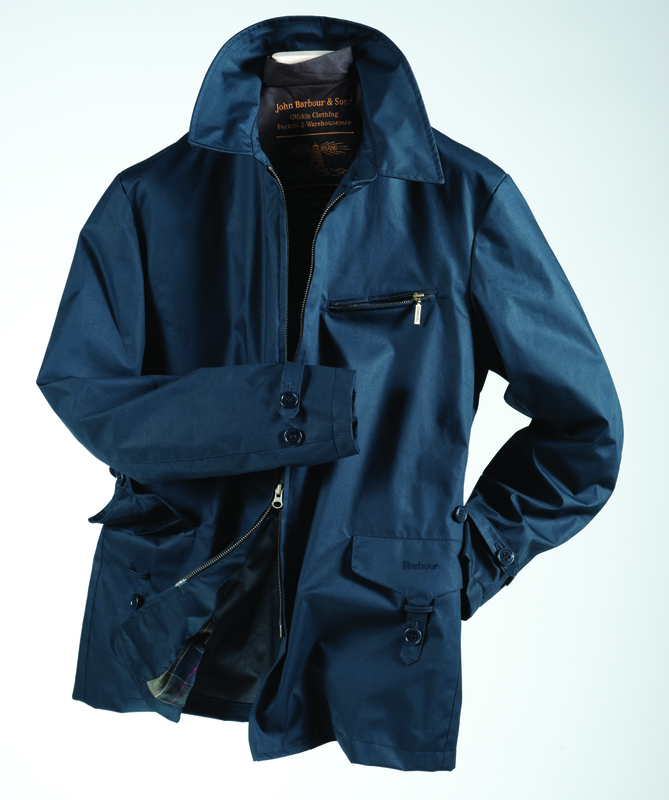 Nigel Cabourn or Ian Paley or Alban. How’s that for some blog group-think? Good point, MW, regarding ME’s comment that it would look better should an Englishman have designed it. Are you suggesting, however, that an Englishman or American COULD not have designed a better looking jacket. Clearly, you’ve got quite a rocking fetish for Japanese design. To that end, would you make the argument that a Japanese designer’s ability to retool a classic English design is inherently better than that of others. I’m afraid you’re simply stuck on the “Oki-Ni” + “Beams” + “insert exclusive, forward thinking concept store here” bandwagon. hey BARBOUROFSEVILLE… where can a guy find that jacket? Good lucking stuff, nonetheless. And my daily blog of choice. That last post wasn’t meant to incite any rage. Yes again. Deal with it. May I quote you in print? I agree with MW, the Japanese are obsessive in a way that most american and english designers have gotten lazy about. Obviously this does not apply to everyone though for both ways, but it seems to be true to more I see more attention to detail, quality and all aspects of true craftsmanship coming out of Japan. ^whereas here in america it’s a very small (but growing) minority. Sometimes I wish I didn’t live in FL. I would think as a PR you would see the damage in presenting ss10 this early ,there really isnt any need for it, these images spread like wildfire across the blogs and all this before the line has been fully presented to press (print) this kind of product shouldnt be being seen by anyone other than press and buyers till at least xmas, as by the time its in stores its old and you would have shown them the AW line that they will then be lusting after. I’d like to see Dominic Stansfield design for Barbour. I don’t understand why some are worrying about Barbour? As the text says: “The new offerings compliment the main Barbour line perfectly (…)”. The main traditional line is quite sure to live on, this is just another line trying to address different buyers. 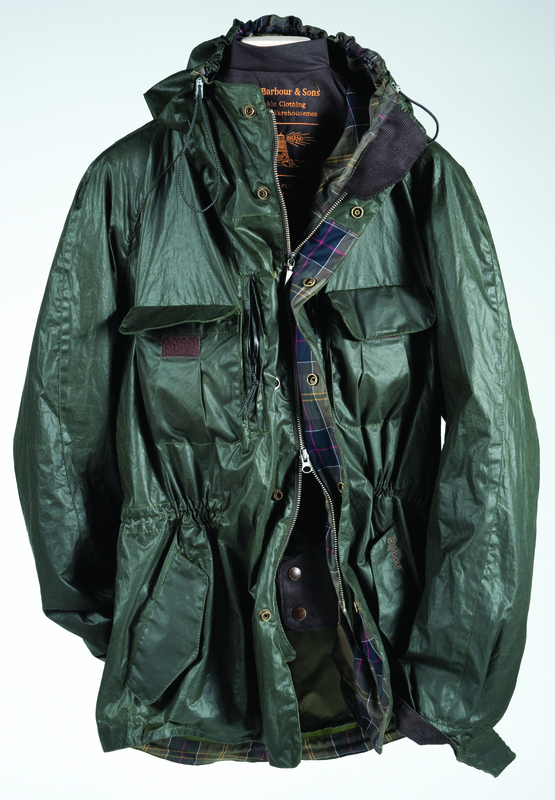 that being said, I quite like those designs and would consider buying Barbour again for the first time in 20 years. 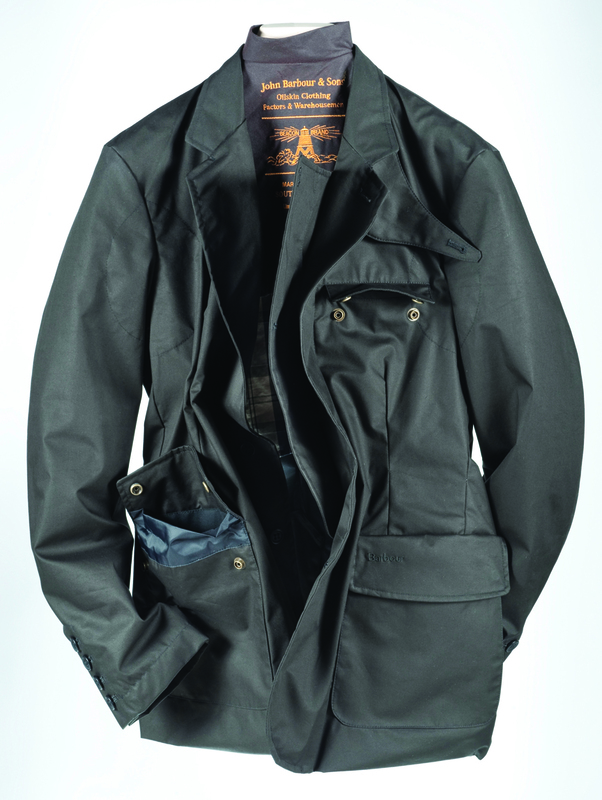 Just bought a classic waxed riding jacket in London to add to my quilt and navy wool military top coat. 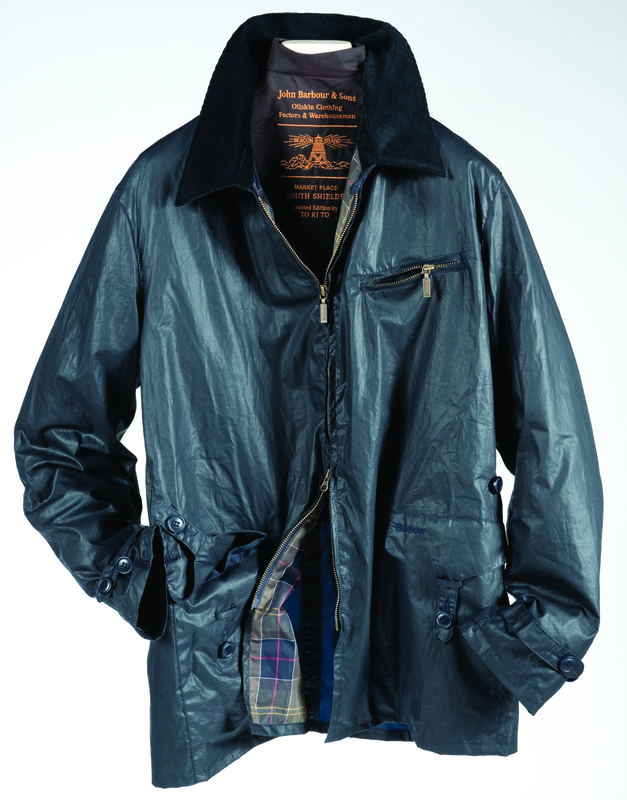 Can’t get enough of classic Barbour, and l love the Summer Bicycle jacket. I agree this is a seamless collaboration – never to far from the brand’s DNA but just that bit extra. Not digging the velcro… no, not at all. 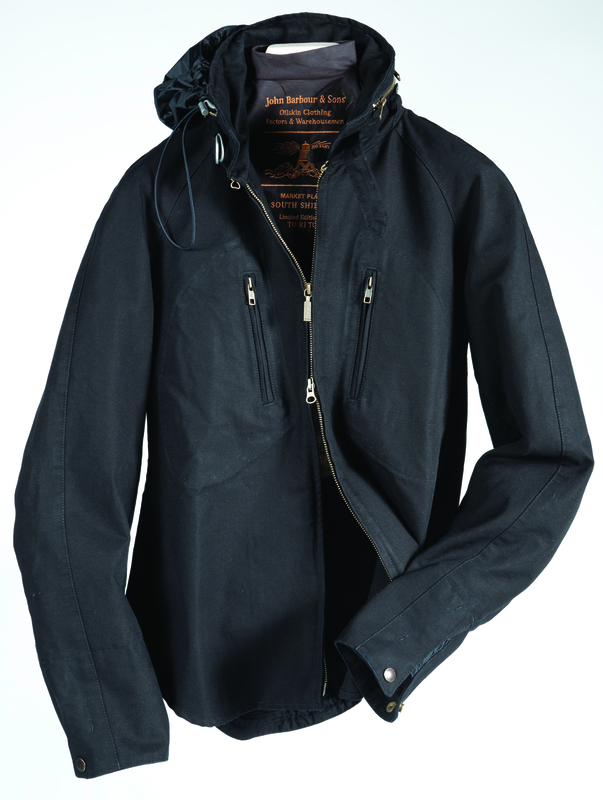 Still, the Summer Bicycle Jacket looks great with closed pocket flaps. Wonder what it would of been like if Massimo Osti could of got his hands on Barbour – would it of been a little too much – forget about the trash turned out nowadays for Stone Island, C.P Company etc – another who would maybe do the job is a certain Dai Suzuki, in my opinion his collections feature the traditional tastes with a modern twist that maybe could do wonders for Barbour. Im a little surprised personally that it as actually taken as long as it as for the Japanese to get their hands on Barbour – im honestly surprised that we have yet to see Barbour or even Belstaff doing some sort of project with the likes of Neighborhood. To Michael Williams… Have you had the pleasure of trying any of these pieces out? Well, I have several Barbours,a bunch of Filsons,and even a Kakadu,and I really like that first wax bicycle coat. 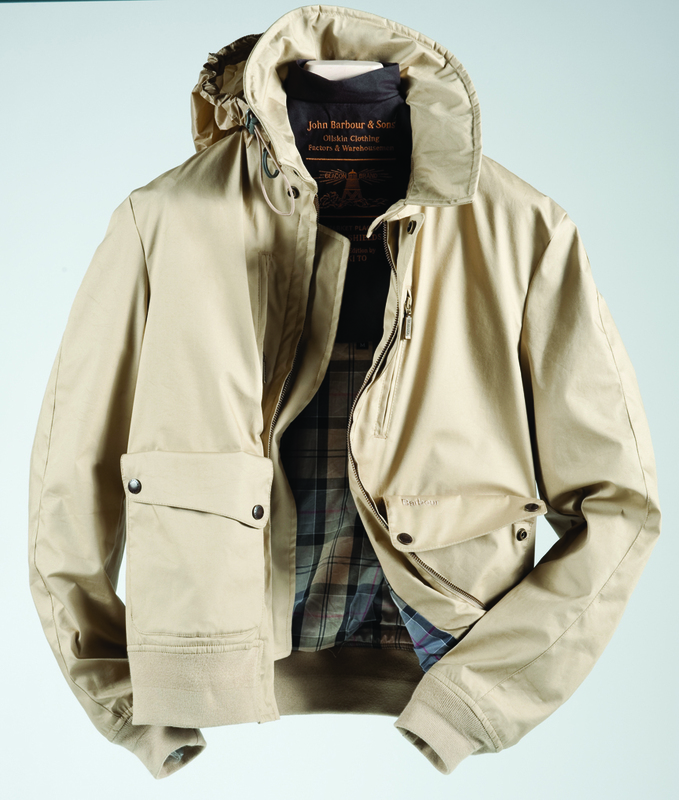 Would love to see Barbour push forward a few more designs from their own archives (4 flap pocket Bedale!) alongside these all-new collaborations. At some point, at this price point, the idea of attaching a use value like “Bicycle Jacket” or “Driving jacket” to these pretty artifacts seems silly. We need an image bounty for the first person to photograph one of these jackets in action. Waiting until 2016 for the Shirt Jacket in a ladies small. Just running and running . . .
Really feeling the 1st (green Waxed). As to a collab, Tom has hit the nail on the head- Dominic Stansfield. SM, I really disagree with your concerns about the damage in presenting so early. Most of my purchases are down to plenty of pre-planning (i.e time to save up) after seeing ‘early’ pre-views. “this kind of product” early. I suppose this makes my long journey to anglophile complete. Next thing you know I’ll be tottering out to the old Rover- what what? As I have come to expect from ACL: Well done. I’ve been fortunate enough in the past to work with Tokito on a number of projects, a really great chap, I remember meetings starting off on a fine whiskey and progressing onto Absinsthe but some how the work always got done and what work he does too! Hard pressed to think of anyone that comes close to his attention to detail in pattern, fabric choices and passion for British and European clothing. Barbour are lucky to get this chap reworking their label as I know Tokito being the admirer of British design would only want to add to what is already a beloved brand. These look so good. Sometimes I wish I was a man for stuff like this. Where are these jackets sold? Love Barbour. Have a lot of their old stuff. What I like the most is their image of Old Britain. No matter how much the world changes their waxed coats will always be a reminder of how life should be. These new coats – at this writing they’re old coats – are not for me – velcro? But I understand their need to experiment stylewise. As for the nationality of the designer, as another commenter wrote – a good design is a good design. Let me also add that sometimes it takes an outsider’s perspective to reveal one’s true character. We are the least reliable judges of ourselves. The only thing I can say is… I am a ‘coat whore’. I have 14 Barbour coats… my first one Ihad in high school (a Bedale in green) and I still have it over 20 years later and wore it two days ago. I recently lost an International jacket the I used on motorcycle for years… and I mourn it’s loss like an old friend. Seriously. It’s ridiculous. For what it is worth, the quality of Barbour’s men’s coats HAS decreased exponentially lately… but the “fashion” is a bit better on their more modern range. I got a brown waxed peacoat style lightweight / mediumweight coat last year that I love to wear… it’s great… but it will not stand the test of time. The worse part is in the hardware on most all the new stuff… the zippers and pulls… and even snaps are not robust whatsoever. Shame. I am a complete brand zealot for them… but sadly, they are losing me. Some of the new designs just simply do not fit their Brand. As a 14 year veteran Creative Director… it annoys me to no end. As a customer… I saddens me to no end. As someone who actually USES his coats as Barbour originally intended… it pisses me off. There are few companies making quality product like this these days… I had hoped they would maintain for a little longer… at least.